The current state of politics in the country is marked by a troubled ruling coalition and an opposition in disarray. TAN Sri Muhyiddin Yassin is still getting used to life in the slow lane. It will never be the same as walking in the corridors of power but there have been some visible side benefits. The UMNO Deputy President gets enough sleep these days, he has shed some weight, his complexion has improved and he looks better than when he was the Deputy Prime Minister. 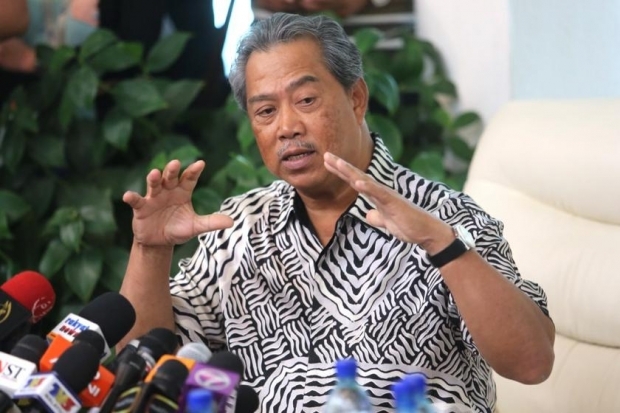 A former aide said Muhyiddin is trying to keep a low profile and avoid talking unnecessarily but invitations to speak keep coming in. And everywhere he goes, people seem to expect him to comment on the “elephant in the room,” that is, the 1MDB issue. He also gets the sense that some people out there think he will take on Najib for the top post but those who understand the nature of UMNO politics would know it is not quite possible for now or in the near future. No one understands it better than Tun Dr Mahathir Mohamad and that is why he wants UMNO to throw out Najib rather than get someone to challenge him for the UMNO presidency. Dr Mahathir has been hammering away at Najib since August last year – yes, it has been that long. The most recent hammering session took place at a press conference to condemn the use of Sosma or Security Offences Act on two of Dr Mahathir’s supporters. The former Premier also managed to get among others, Muhyiddin, UMNO Vice-President Dato’ Seri Shafie Apdal and Gua Musang MP Tengku Razaleigh Hamzah to join him at the press conference. The pro-Mahathir segment hailed it as an anti-Najib alignment of notables, and it was in a way. It was the first time that Muhyiddin and Shafie had appeared publicly with Dr Mahathir since their sacking. 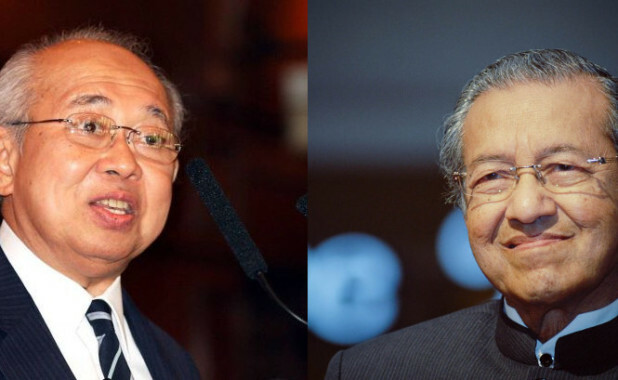 As for Tengku Razaleigh, everyone knows there is no love lost between him and Dr Mahathir, and seeing them together was a new development. The reaction to these big names coming out against Sosma has been mixed. Part of it had to do with the contradictory nature of their action. Muhyiddin and Shafie were part of the Cabinet that created Sosma while Dr Mahathir had used the ISA on political opponents in his heydays. Their past coloured their new sense of outrage. “I respect Tun Mahathir but the trouble is that almost everything he accuses Najib and the government of, he had done when he was in power – detaining people without trial, bailouts, mega projects. He even joined a street demonstration,” said Dato’ Alwi Che Ahmad, the assemblyman for Kok Lanas in Kelantan. Dr Mahathir’s quest to topple Najib has become very personal, emotional and all-consuming. When he first began raising questions about the 1MDB scandal, many people in UMNO believed he was doing it for the well-being of the party and country. Like him, the thinking segment of UMNO also wanted answers. But one year down the road, many of them think it has morphed into a battle of wills and egos, that it has become less about the party and country than about Dr Mahathir’s habit of always getting his way. “We may be wrong but that is what it looks like to us. 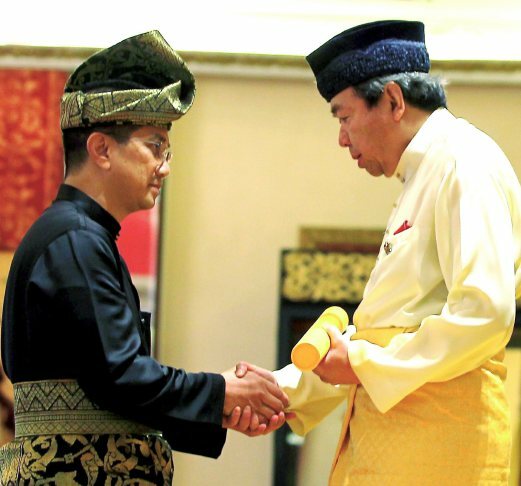 I am really worried,” said Alwi who was a former political secretary to Tun Abdullah Ahmad Badawi. The 1MDB issue has dented Najib’s image especially in the eyes of the urban middle class. There has been explanation after explanation but those who actually understand the issue are not buying it, while those who find the whole thing too complicated have switched off. And all this while, Dr Mahathir is playing the inimical role of pouring curry power to the bubbling pot. Najib’s popularity rating has slipped to 44%, down from 48% earlier this year although analysts say that it has more to do with public dissatisfaction over GST and the cost of living as surveys have shown that 70% of Malaysians are clueless about what the 1MDB issue is about. Najib is also struggling with the fact that his coalition has only 5% support from the Chinese. The ruling coalition is not in a good place at this point in time. However, UMNO, despite its liabilities, is still able to pull its weight but the same cannot be said of its partners in the peninsula. Barisan Nasional is more dependent than ever on Sabah and Sarawak and the outcome of the forthcoming Sarawak state election will have huge implications for the survival of Najib. The irony is that the opposition pact is in no better shape. It is stuck in a mess of its own making. The opposition parties have regrouped as Pakatan Harapan but it does not have the full support of PKR. Some PKR leaders support the new pact while others want to continue working with PAS. PKR Deputy President and Selangor Mentri Besar Azmin Ali is behaving as though Pakatan Harapan does not exist and his administration is still operating as Pakatan Rakyat. The fiasco over their Parliamentary motion of no confidence against Najib exemplified the disarray. They had been talking about it to all and sundry for months but there did not seem to be any coordinated effort. When the motion was submitted by an MP from PKR, DAP threatened to boycott it unless a new motion was tabled by Opposition Leader Datuk Seri Dr Wan Azizah Wan Ismail. This Parliament meeting was the first time that opposition MPs were coming in as Pakatan Harapan. The no-confidence motion bid would have been a moral victory for the new pact but they tripped. 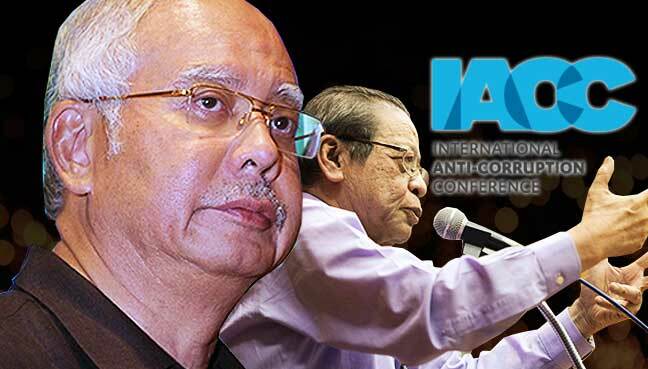 Instead of embarrassing Najib, it exposed their own internal rifts. The Barisan side then turned the tables against them and moved a motion to suspend Lim Kit Siang for remarks made about the Speaker. The vote count on Lim’s suspension also showed who has the numbers – 107 Barisan votes against 77 from the opposition bench. To save face, the opposition claimed they were in secret discussions with Barisan MPs to move the no-confidence motion against Najib. But it was so clearly another “Sept 16” kind of ploy and it is no longer amusing. “We’ve got to choose again in a few years’ time. Barisan is in deep water but there is no viable opposition. Who is there to vote for?” said a Malay executive from a public-listed company. It is a rather bizarre state of politics. The opposition claims it is ready to govern Malaysia, yet is unable to take advantage of the troubles of the ruling coalition. Despite being cast out of the opposition pact, PAS still has the numbers given the 60,000-strong crowd at its “green rally” in Kota Baru last week. The collection from the crowd that evening was a staggering RM237,000. “The numbers basically mean that PAS will survive under Tuan Guru Hadi,” said Roslan Shahir, the former press secretary to Dato’ Seri Hadi Awang. The PAS rally also coincided with the 25th year of PAS rule in Kelantan and Hadi summed it up well when he claimed that nowhere else in the world has a government by an Islamic party survived this long. The next night, the PAS president told a ceramah in Tumpat, Kelantan, that renown Islamic scholar Dr Yusof al-Qaradawi had informed him that it was haram (forbidden) for the PAS breakaway group to form a new party to go against an existing Islamist party. It was a damning verdict because Sheikh al-Qaradawi, as he is known, is a big name in the Muslim world. Choosing Tumpat to deliver the news was quite deliberate – the MP for Tumpat Dato’ Kamaruddin Jaffar had quit PAS to join PKR. His party recently scored another moral victory when the Federal Court threw out a bid by Gerakan politicians to challenge the constitutionality of the Hudud Bill passed by the Kelantan Government. The Budget meeting of Parliament will take off in earnest now that Najib has unveiled his Budget for 2016. It is going to be a long, hot and highly politicised meeting. There is talk of the opposition attempting to vote against the Budget as a means of registering their protest against Najib. But sabotaging a Budget is rarely a good idea because it will lead to a government lockdown, deprive government servants of their salaries and jeopardise amenities and services for the rakyat. And all because politicians are out to play politics and score politi­cal points. The two-party system has brought about greater checks and balances in government. 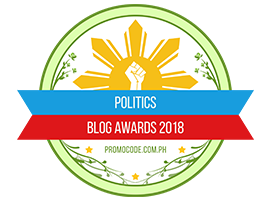 Unfortunately, it has also ushered in an unprecedented degree of politicking and a culture of quarrelling and fault-finding. Traits like basic goodness, kindness and common sense that one sees on the ground seems to get translated into mean-spirited and irrational politics by practitioners. And it is seen in those determined to stay in power as well as those eager to attain power. It is so debilitating, it is the primary cause of political fatigue among ordinary Malaysians and it should stop. This entry was posted in 1MDB Financial Scandal, Budget 2015-2016, civil society issues, Democracy, Governance, Leadership, Politics, UMNO. Bookmark the permalink. (1) “I respect Tun Mahathir but the trouble is that almost everything he accuses Najib and the government of, he had done when he was in power – detaining people without trial, bailouts, mega projects. He even joined a street demonstration,” said Dato’ Alwi Che Ahmad, the assemblyman for Kok Lanas in Kelantan. (2) “Dr Mahathir’s quest to topple Najib has become very personal, emotional and all-consuming. COMMENT: This propaganda technique is called “LOADED WORDS” i.e. (3) “We may be wrong but that is what it looks like to us. I am really worried,” said Alwi who was a former political secretary to Tun Abdullah Ahmad Badawi. COMMENT: This propaganda technique is called “PLAIN FOLKS” i.e. using ordinary people or trying to sound ordinary to sell something or persuade you to vote or support an idea i.e. there is no alternative (TINA) to UMNO-Barisan Nasional. (5) “The PAS rally also coincided with the 25th year of PAS rule in Kelantan and Hadi summed it up well when he claimed that nowhere else in the world has a government by an Islamic party survived this long. COMMENT: This propaganda technique is called “TRANSFER” i.e. a technique used to carry over the authority and approval of something we respect and revere to something the propagandist would have us accept. The something we respect and revere here is religion (more specifically, Islam and Islamic scholars). No mention is made of other Islamic scholars who disagree with such views. (6) “There is talk of the opposition attempting to vote against the Budget as a means of registering their protest against Najib. But sabotaging a Budget is rarely a good idea because it will lead to a government lockdown, deprive government servants of their salaries and jeopardise amenities and services for the rakyat. And all because politicians are out to play politics and score politi­cal points”. COMMENT: This propaganda technique is called using “LOADED WORDS” and tries to convey the idea that the Opposition is behaving in an unprincipled manner. Loaded words and phrases — sabotaging, score political points. COMMENT: This propaganda technique is called “FALSE EQUIVALENCE” i.e. the Opposition is as bad (equivalence) as the ruling regime it condemns. So, why should one support the Opposition? This ignores the fact that the regime is much more powerful than the Opposition, and has been using double standards in following the principle of rule of law. Xi Jin Ping, China President made a reference remark about House O Card during his recent to US. You would have heard of the House of Card craze in US. But do you know that the origins come from UK. Perhaps, Mooh Mooh should spend time watching these series. Ian Richardson is da best……. Too much politics in the daily lives of Malaysians now to be of any good. Time to shift our attention and effort to the economy. She uses a popularity figure in Feb 2015. Najib’s popularity probably closer to 25% or lower. Its clear the plan is to blame Mahathir, hoping to compare Mahathir and him they will slide through by buying the Sarawak and Sabah warlords and votes.. Mahathir turned to the Chinese when he could not get the Malay vote, now they turn to Sarawak and Sabah and hopefully some desperate Indians too and it would be enough..